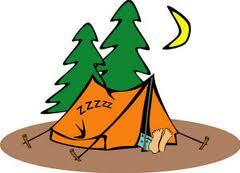 Pack 216 is going camping this October! When: October 19-21, 2018. Check-in time is 4pm. Deadline: Space is limited. Please sign up below by Friday October 12th after October 12th, if there are additional beds we will open the sign up to all family members. Uniform: Class B, Class A during to and from camp. Come join us for our first campout of the Scouting year, this year we will be staying in cabins built in the 1930’s. The cabins were built during the Depression Era to house workers and have been recently refurbished so no tents are needed for this campout. The site has several picnic tables and fire pits. There are washrooms, a mess hall and dining hall. We will be staying in the Camp Lapihio Group campsites. The Pack will be providing a Spaghetti dinner on Saturday night (Thanks Den 13!!!!) and we will be looking for volunteers to assist in the cleanup. This campout will be free to all members of Pack 216, as there are a limited number of beds the sign up will be limited to 1 Scout per Adult and if there is additional space we will open the sign up to family on a first come first serve basis. 4:00 PM - 7:00 PM: Arrive, Setup camp. Dens/families bring your own meal. 7:00 PM - 8:00 PM: Camp-fire (informal). Dens/families: bring your own smores if desired. A Spaghetti dinner is provided by Den 13 on Saturday evening. Dens are responsible with coordinating the rest of the meals (Friday dinner, Saturday & Sunday breakfast, Saturday lunch) . Our program on Saturday will feature a pack provided dinner. More information will be provided as it comes. We will hanout boats at the campout along with the supplies to build your boat. We need volunteers to make the camp-out a success! Once you have registered below, contact Jim to volunteer to help with supplying, transporting items & dinner cleanup. Currently the sign up is full, please email the leaders below to be put on the waitlist. Click on link below to email Jim Clos, John Dodson or Patrick Wise.